Home / Banking related general awareness / Ration card out - Aadhar card in -- new rules for opening bank accounts. Ration card out - Aadhar card in -- new rules for opening bank accounts. 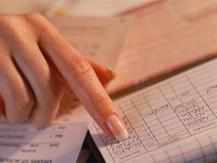 MUMBAI: The ration card — the government issued booklet for availing of subsidized food under the public distribution service — is set to lose its privileged status as a valid document for opening bank accounts. Aadhaar is now set to become the single universal document for opening a bank account in India. In a circular dated July 17 addressed to banks, the RBI said that it has revised its "know your customer" guidelines with the government's prevention of money laundering norms. One of the changes is that the RBI has now specified "officially valid documents" to be the Aadhaar card, voter ID card, permanent account number (PAN) card, driving licence, passport, or the NREGA card. The list is identical to the earlier list except for one change. The earlier definition also included "any other document as may be required by the banking company or financial institution or intermediary". This has now been replaced with "any document notified by the central government". Until now banks had been using the leeway under "any other document" to apply their discretion for accepting a wide range of documents, including ration cards and utility bills. The new dispensation changes this. According to a report on financial inclusion, prepared by Ashish Das, professor of statistics at IIT-Bombay, the significance of the concept of officially valid documents is that Aadhaar would become the single universal document to open a bank account in India. "Most of the unbanked customer may not have the other five valid documents. A pan card is meant for those with taxable income, the driving licence is for those who need to drive, the passport is meant for those who travel abroad and the NREGA job card is usually meant for poor in rural areas," said Das. This left Aadhaar and the voter ID card. But the voter ID card cannot be obtained until adulthood whereas the RBI allows younger individuals to open accounts. Tightening the description of officially valid documents will not impact the unbanked. This is because banks can open "small accounts" without any documents. These accounts cannot have a balance of more than Rs 50,000 and have aggregate credits of more than Rs 1 lakh in a year. After the account is opened, the customer needs to make efforts within the next 12 months to get a valid document. Government, public sector and bank employees can also open accounts with the help of their identity cards.